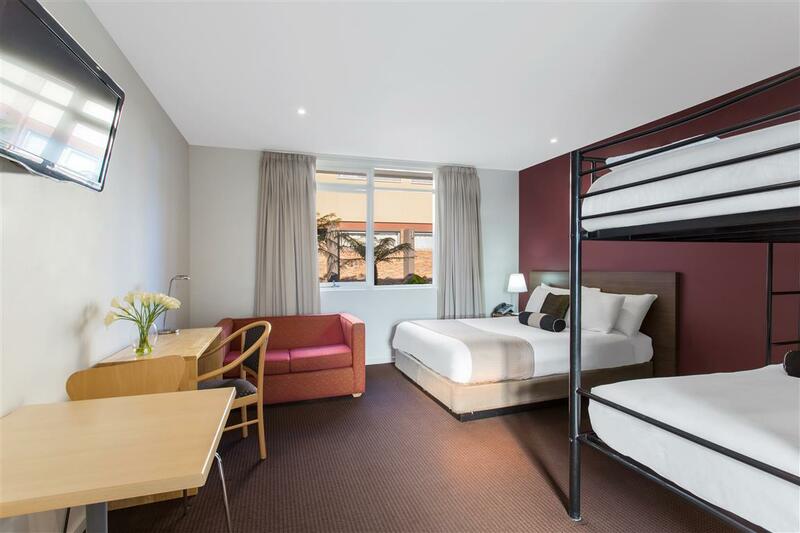 Comfort Inn and Suites Warragul has renovated family rooms featuring a double bunk as well as 2-bedroom apartments. The property is set on one acre with rural outlook. Free WIFI. Not what you were looking for? 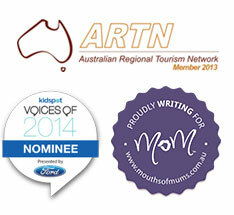 Check out more family friendly accommodation in Gippsland. A little over an hour from Melbourne, West Gippsland is an overlooked part of Victoria. The Princes Freeway by-passes Warragul and Drouin making these towns just a name on a sign for travellers heading further east, but for a nice day trip or weekend break there's plenty to do and places to stay. As a family of five, finding suitable motel accomodation is hard, particularly as many class a 'family room' as a double and a single bed or two double beds. Thanks to a a major renovation, the family rooms offer comfort and contempory furnishings. The room is good-sized and sleeps up to five, with a queen bed, a bunk and plenty of room for a rollaway bed (which had a wonderful deep mattress). The motel is the first you find as you approach Warragul from Melbourne. The Two Towns Trail, an 8km bike/walking path that links Warragul and Drouin, is behind it. What to do? Bushwalks,cycling, drives and the area is an artistic hub. Many artists open their studios to the public while a wide range of gourmet produce including wines, beers, venison, smallgoods, catch-your-own trout and pick-your-own berries are regional hallmarks. The West Gippsland Arts Centre stages exhibitions by local artists and a wide range of top-class touring shows at prices rather cheaper than Melbourne. Yarragon has the popular Gourmet Deli restaurant, galleries and antique shops. There's also a good gallery and great playground at Neerim South. Near Noojee, you will find the giant Ada River Tree. Warragul is the regional capital, has a great bookshop and a park and playground next to the arts centre. Kids comments: The rollout bed was really comfortable and the pillows are very soft. Been here with your family? Submit your review!